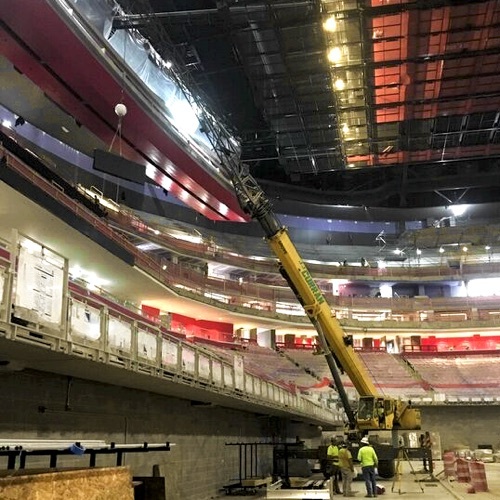 JJ Curran used their 75-ton Grove 875E rough-terrain crane to set 214 LED Daktronics boards around the lower and upper bowl of the Little Caesars Arena. Space and weight restrictions made this job a little tricky. Due to the weight restrictions of the center ice and rink footprint our crane needed to set up right next to future seating areas, while it hoisted LED panels to encircle both the upper and lower bowls of the arena.